There are no comments for Bethesda Fountain Iv - Central Park. Click here to post the first comment. 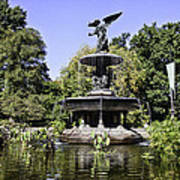 Bethesda fountain was the only sculpture that was in the original Central Park design plans. 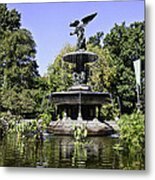 Emma Stebbins, was the first woman to receive a public commission for this major work of art in New York City. 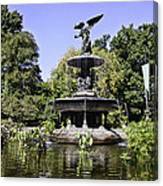 Below the 8ft female winged angel are four cherubs representing Temperence, Purity, Peace and Health. 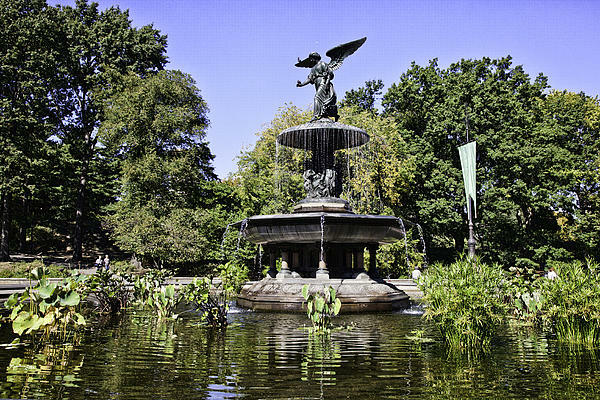 Water sprouts into the pool that surrounds the sculpture. 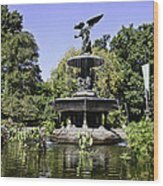 If you visit Central Park, make sure to see the fountain. Musicians playing their instruments can usually be heard. The sounds and other tourists enliven an already beautiful site.